Our brand is important to us. How we are perceived by the community is important to us. Because of that, we are updating our look! We are excited to present new colors, new words, and new community development initiatives in Jackson County. 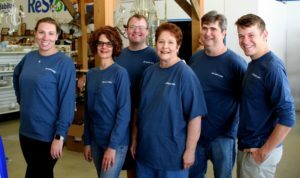 Our first project was jump-started by a small group of Jackson EMC employees. 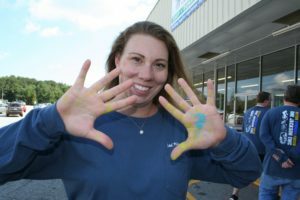 They volunteered at our ReStore in Commerce to introduce our new colors to the store. 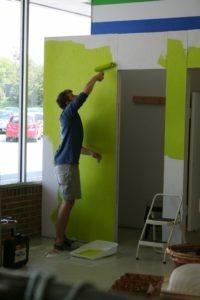 The work this team began in our ReStore will be a tremendous help in bringing in our new colors to life in our ReStore and the community. Our core belief is that EVERY HAND can make a difference. 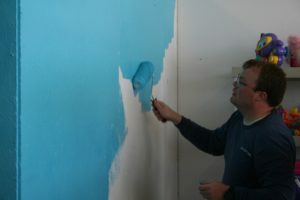 On this day many hands came together to begin the process of updating our ReStore with new colors. Volunteers are a crucial part of making it possible for us to serve Jackson County and our goal of providing decent homes for deserving families.